Hello lovelies! 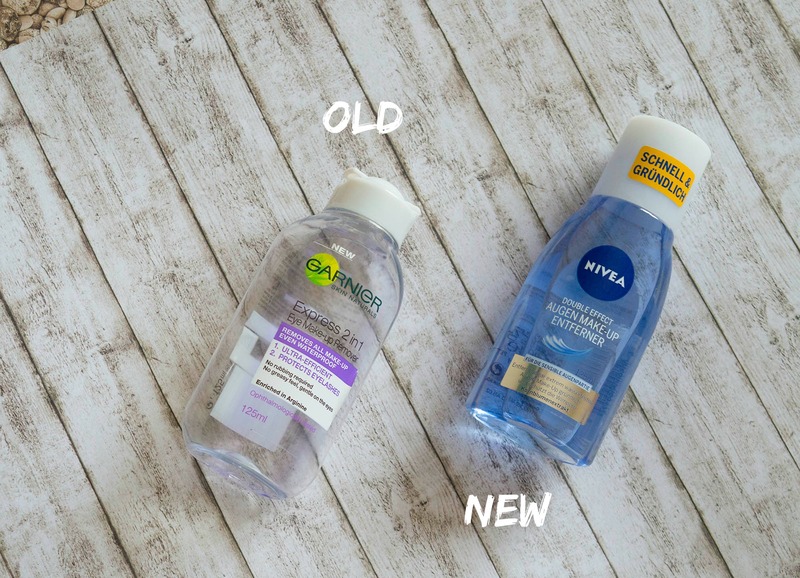 It’s finally time for my first beauty empties and replacements post. I didn’t really understand the purpose of “empties” until now, I’ll be honest. 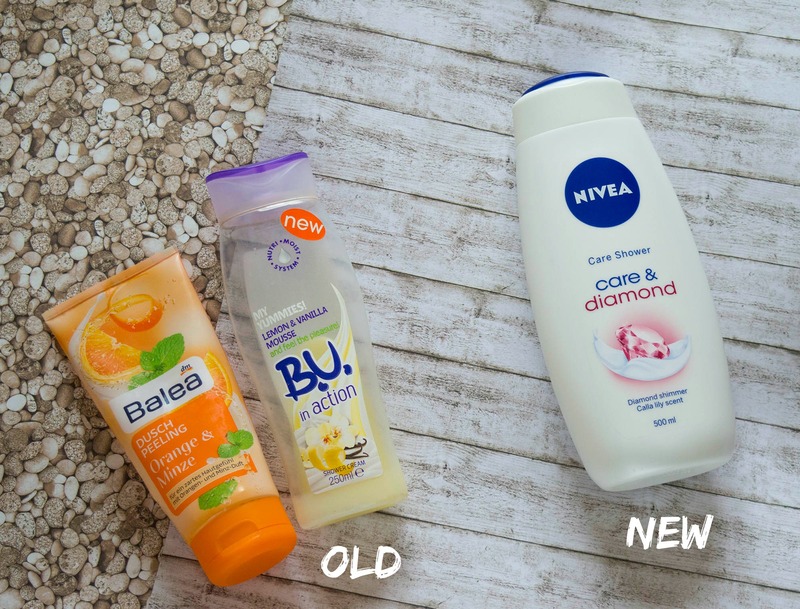 But I recently noticed that I used a lot of products in the past months that I haven’t mentioned here on the blog, so I thought this would be a good opportunity to talk a bit about them. These are all beauty products – hair, skin, nails and body care. 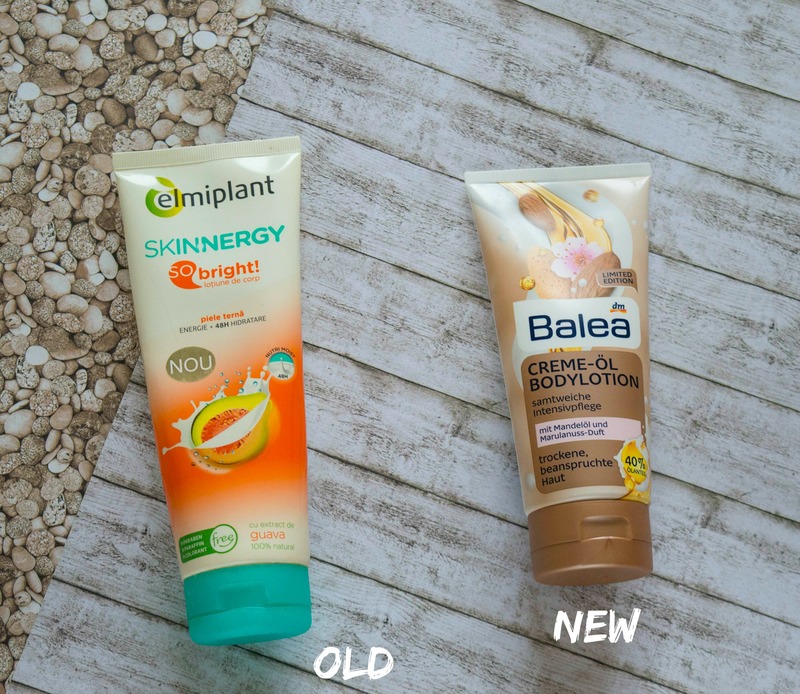 I also decided to include their replacements, to tell you why I did or didn’t repurchase a product, if I recommend it or not, or if I just wanted to try some new stuff. 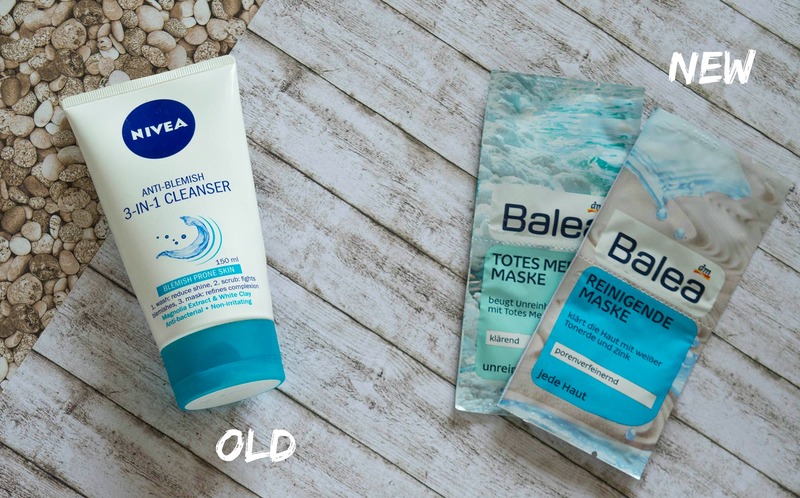 All of them are affordable brands: Nivea, Balea, Farmec, Syoss – some of my favorites in terms of quality vs. price. After constantly using the Full Hair 5 shampoo for almost a year, I bought this Anti-Breakage version to switch things up a bit. I must say I was really impressed, it does a great job – even better than the Full Hair 5 one. So I decided to repurchase it. I really like it, it leaves my hair soft and clean, it smells great and I also noticed less hair breakage after using it. 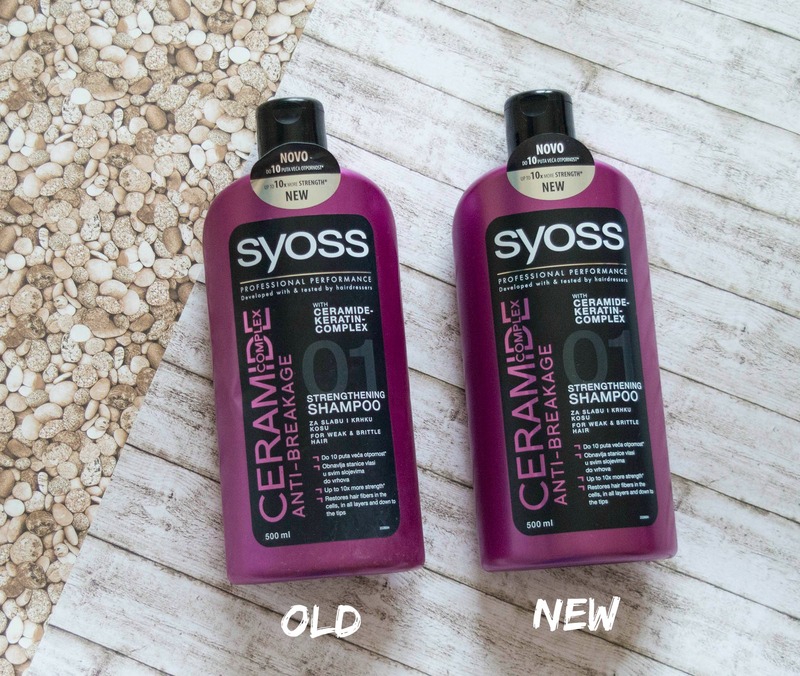 I’m a big fan of Syoss products, so I’m happy I found another awesome shampoo in their product range. This conditioner was quite good, but I didn’t want to repurchase it. It’s nourishing and it leaves your hair in a good condition, but I haven’t noticed any major improvements – and I don’t have an excessively dry hair. I know I included this on my May Favorites – and I still think it’s a good product – but definitely not a “must-have”. I got this new mask from Balea almost a month ago, so I did manage to use some of it. It’s a lot more intense and hydrating than a usual conditioner, but gentle enough so I can use it on every wash. It smells delicious and it has a really nice texture, very soft and creamy. I’m quite glad I finished this product. It does a good job in removing the make-up, but I had to struggle a bit to remove any last drop of mascara or eyeliner. So it works well, but there was just too much effort involved. I used this serum every morning after my skincare routine, as a primer or simply to give a nice glow to the face. It’s perfect as a primer, by making the foundation look and apply better. Really nice product, but a bit drying – even for my combination skin. I got these samples from Vichy last month, they had a testing campaign. I think Idealia is a great moisturizer, it leaves your skin soft and luminous. So if you want to buy it, it’s probably a good investment. 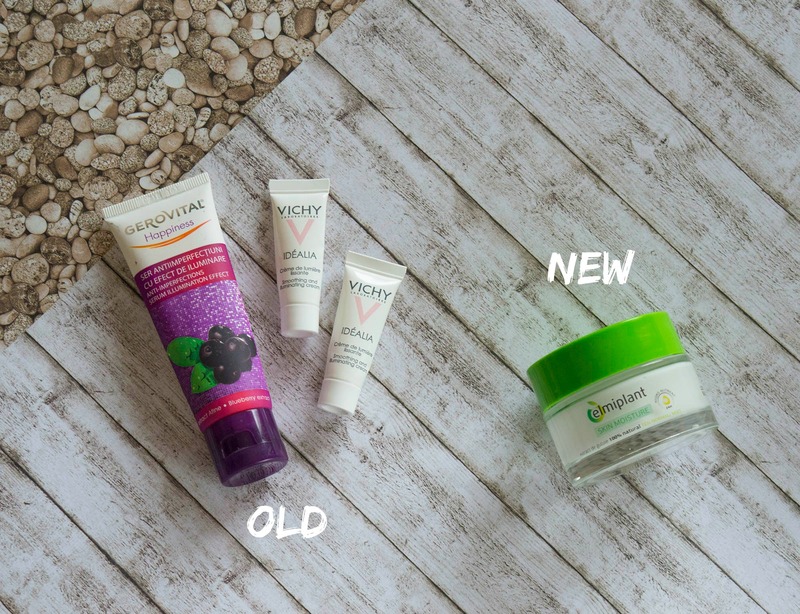 I’m currently looking for a really good high-end day cream, but I’m still not sure whether I should go for Clinique, Vichy or Clarins… so I’m still doing my research, before spending all my money in Sephora. Meanwhile, I bought this Elmiplant day cream, which works well on my combination skin. If feels very moisturizing, it has a lightweight non-oily formula and it enters the skin really fast. I used this product as a mask 2-3 times per week. It doesn’t leave the skin dry or clogged, but fresh and clean. It helps with imperfections, you can tell the difference after using it. Now it’s almost empty, so I want to try something similar from another brand. If you have any ideas, let me know. For now I’m gonna keep using these Balea masks, they are very cheap and efficient. My favorites are the Purifying Mask (good for removing dead skin cells & mattify the skin – with clay, zinc, hyaluronic acid and milk proteins) and the Dead Sea Mask (good for removing dead skin cells & prevent blemishes – with aloe vera, dead sea mud and chamomile). These were some of the best summer shower gels, with amazing scents and fresh vibes. I loved the BU shower cream, it has a heavenly smell, I promise. And the Balea dusch peeling worked like a charm to remove any dead skin. I finished this body lotion recently, after using it a lot in the summer. Nothing too special, just the perfect pick-up lotion for the hot season. Also, it’s paraben-free and it smells great, ha ha. I was planning to buy a body butter actually, but this Balea body lotion with almond oil got my attention last time I was in DM. I must say I don’t quite like the smell of this one, but it does feel moisturizing and pampering. 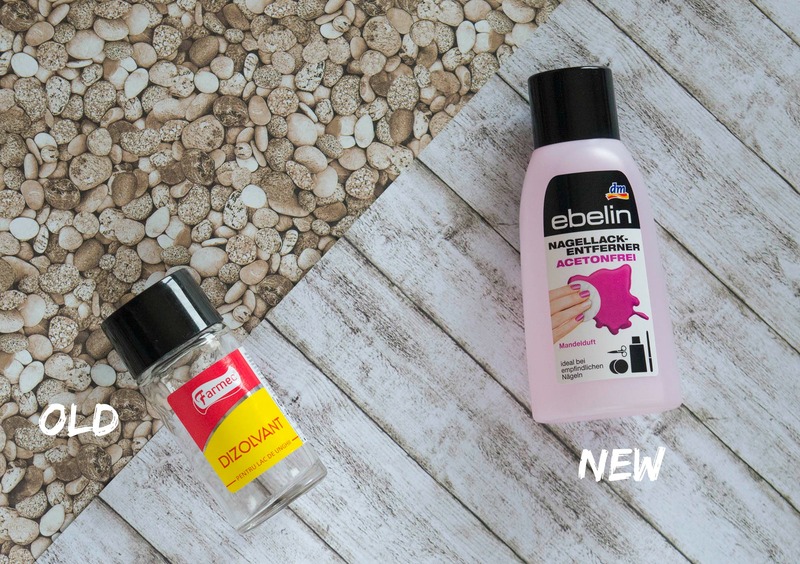 This nail polish remover is very efficient (even for glitter nail polish – tested), I’ve been repurchasing it a lot in the past year. Farmec has some really great nailcare products, so you should check them out. Since I wasn’t able to find the Farmec one last time I went shopping, I had to buy something else. So I picked up an Ebelin nail polish remover. I like that it has a bigger quantity for the same price, and it’s healthier for the nails because it’s acetone-free. But it doesn’t have the same efficiency, I had to struggle a bit to remove a regular red nail polish. So I’m not sure if I’ll buy it again. 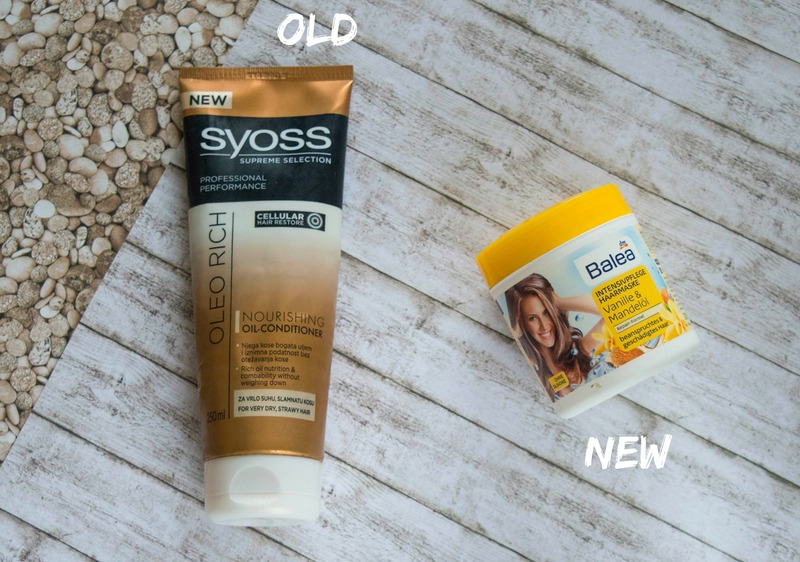 Did you try any of these products? What empties did you have in the past month? Let me know if you like this kind of posts, and if you want me to do more in the future. Sie u folosesc minunea aia de demachiant de la Nivea, foarte bun. In rest nu am avut ocazia sa testez alte produse. Nivea si Gerovital folosesc si eu , sunt tare bune. Hello Iulia! Multumesc frumos de recomandare, am sa il caut ❤️ Te pup, o saptamana frumoasa! Produsele Syoss sunt si printre preferatele mele! Ai fost tare harnicuta! O sa ma uit si eu dupa lotiunea aia de corp de la DM. Super interesanta ideea , uite ca la asta chiar nu m-am gandit , interesante noile alegeri . Am încercat crema pentru piele uscata de la Elmiplant. Mi-a plăcut mult, însă nu am mai reachiziționat-o. Am incercat doar demachiantul bifazic Nivea si a fost un mare fail pentru ca ma ustura ochii de la el. 🙁 Dar trebuie sa incerc neaparat gelul de dus B.U., vanilie si lamaie suna tare bine. I finished cleanser Nivea and I liked it ! Have a nice day !